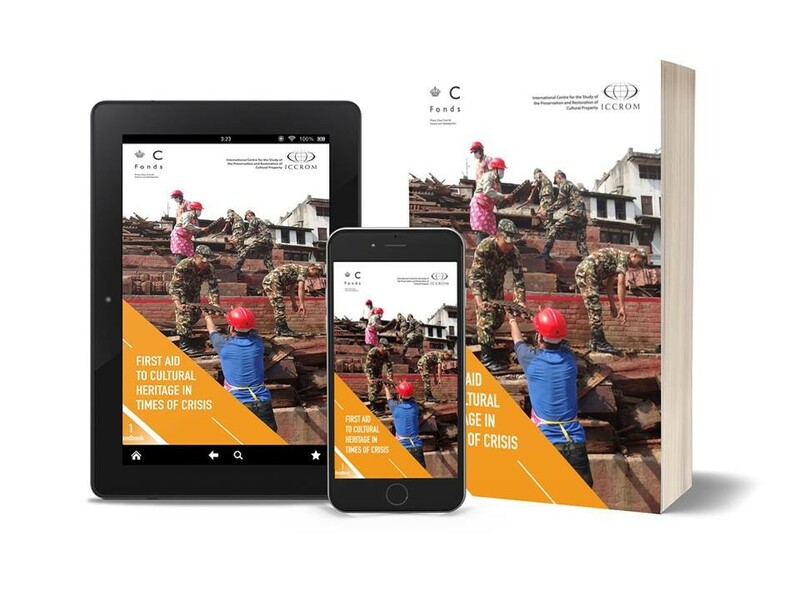 ICCROM and the Prince Claus Fund have published an innovative handbook and toolkit on First Aid to Cultural Heritage in Times of Crisis, for free download. When disasters strike, local communities are the first to try and safeguard their cultural heritage, however their ability to intervene is often greatly reduced during complex and multi-faceted humanitarian crises. At the same time, first responders may not always be aware of what is culturally important, and they often lack the training to handle heritage objects and structures, and meet the specific needs of those who bear traditional knowledge. First Aid to Cultural Heritage in Times of Crisis is a two-part publication created for the various actors involved in an emergency. It provides a practical method and a set of ready-to-use tools for securing endangered cultural heritage, both tangible and intangible. The cultural heritage first aid workflows and methodologies have been field tested in Haiti, Iraq, Syria, Nepal, Philippines and India, yet this is the first time they have been codified into a comprehensive tool that is accessible to anybody. 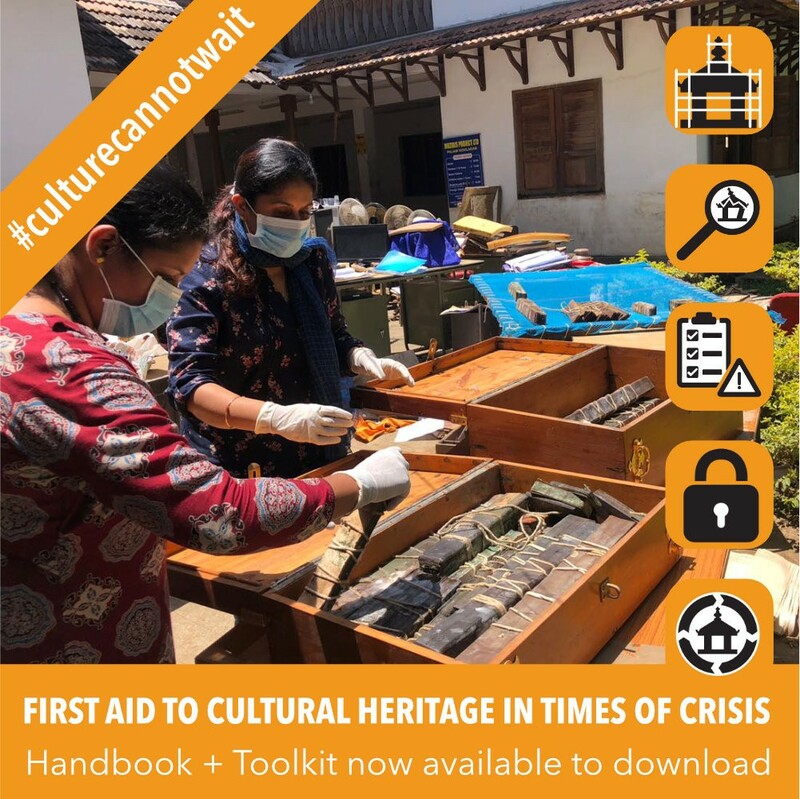 The resource has multiple uses: it will help to improve emergency preparedness within cultural heritage institutions, serve as a reference to train others, and act as a guide for planning and implementing coordinated cultural heritage first aid. The First Aid to Cultural Heritage in Times of Crisis Handbook and Toolkit is the outcome of nearly a decade of field experience gained by ICCROM, and a close partnership between ICCROM, the Prince Claus Fund and the Smithsonian Cultural Rescue Initiative. Who will be interested in reading it? Cultural heritage professionals and institutions that would like to develop coordinated emergency plans. Community-based organizations and humanitarian aid professionals who are working to enhance disaster resilience in-risk prone regions of the world. Civil protection, civil defence and military personnel, firefighters, and others in charge of protecting communities and their assets during disasters and conflicts. The Handbook offers step-by-step instructions and real-life case examples. It walks readers through the three phases of cultural heritage First Aid – (1) situation analysis; (2) post event, on-site damage and risk assessment; (3) security and stabilisation, which collectively lead to early recovery. The phases include workflows and procedures that resemble those followed by emergency responders and humanitarian aid professionals, making in-field coordination possible. Diagrams, photos and drawings illustrate the text for easy reference. Download it, save it to your phone, and share it with as many people as possible so that together we can improve emergency preparedness and response, and build resilience for cultural heritage worldwide. 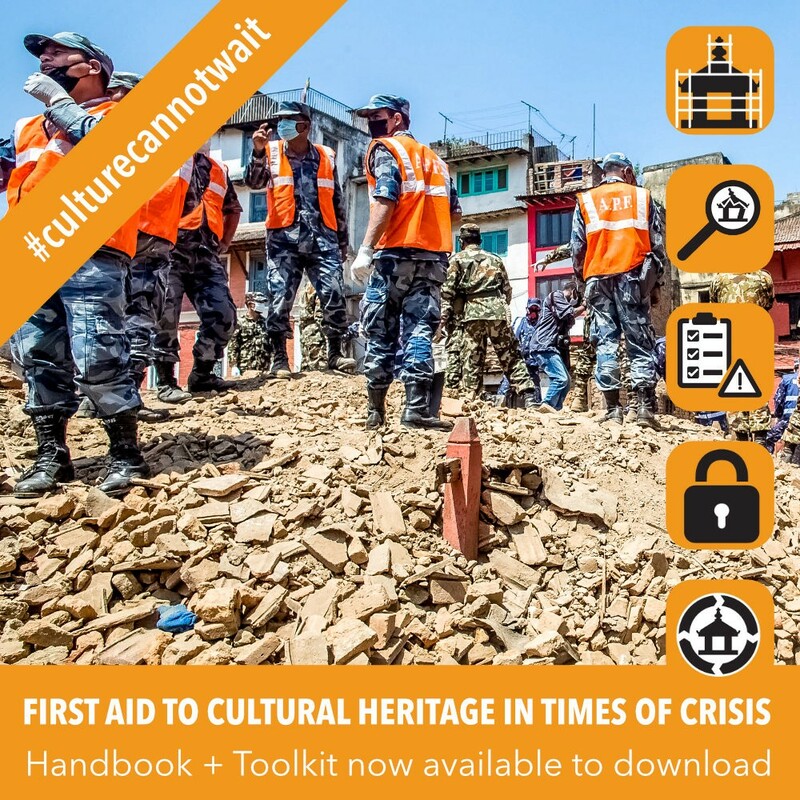 Please click here to download the handbook and the toolkit of First Aid to Cultural Heritage in Times of Crisis.